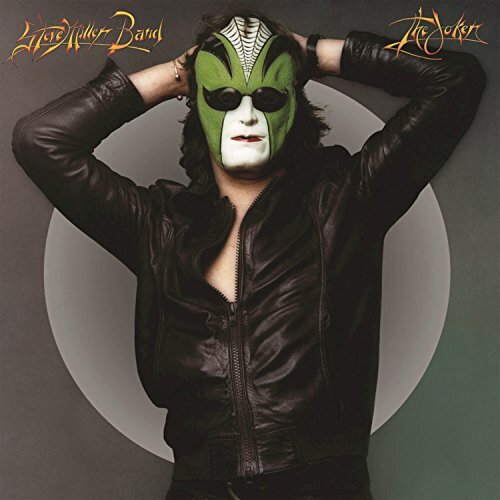 Although Steve Miller had been slugging it out since the late 60’s as a blues-rock guitarist, it wasn’t until his 1973 release, “The Joker”, that he finally found his most marketable niche in radio friendly rock. Here Miller abandoned his edge and his rootsy sensibilities, and leaned toward a lighter, more melodic approach. This is typified in the title track, a shuffling groover with an infectiously hooky chorus that went on to become a monstrous smash, and something of a signature song for Miller. While “The Joker” is the centerpiece of the album the be-bop ditty “Shu Ba Da Du Ma Ma Ma Ma,” the humorous “Your Cash Ain’t Nothin’ But Trash,” and the underrated Miller composition “Sugar Babe” are also noteworthy. “The Joker” is most interesting as a look at Miller in transition: it contains many of the elements that would go on to make him a superstar over the course of his next two releases, 1976’s “Fly Like An Eagle” and “77’s Books Of Dreams”.